Boulder features miles of in-town bike paths, fun singletracks, and winding mountain roads. A common refrain among Boulder residents is, "My bicycles cost more than my car." A trip around town supports this. Folks ride cozy cruisers and elite road bikes, tough mountain bikes and various hybrids. Thankfully, Boulder features enough paths and trails to give everyone room. Below we've listed some popular routes. If you don't want to bring your own bike on your trip to Boulder, you can rent one (along with a helmet and lock) at a reasonable price in town. Visitors may enjoy touring the town by bike; you can certainly get a different view of Boulder on two wheels. We've highlighted several in-town paths below. However, for an overview of the town's vast network of paths you can click on the following PDF map. The Boulder Creek Path (7 miles one-way) runs along the Boulder Creek in an east-west orientation. The trail winds down from Boulder Canyon, cuts through downtown Boulder, and emerges into residential east Boulder. The mid-town section is a nice shady trail for summer rides. Note that the path — especially near downtown — can become somewhat crowded. Watch for pedestrians and kids around corners. If you're heading east on the Boulder Creek Path, the path reorients to a north-south direction near its eastern end. For a nice mountain-view north-south ride, you can continue south, crossing under Arapahoe Road and onto Old Tale Road. Continue riding onto a brief paved greenway after Old Tale ends. After crossing a wooden bridge, turn right (south) onto Gapter Road, then reconnect with a bike path at Baseline Avenue. This is the beginning of the South Boulder Creek/Bobolink Trail (2 miles one-way) — a brief, picturesque ride through the east Boulder grasslands. You can stop by the East Boulder recreation center (5660 Sioux Drive) along the way if you'd like. For a slightly more rigorous ride, you can take the Boulder Creek Path west into Boulder Canyon (1.5 miles one-way). From the western part of town, you can follow the path for two miles until it ends near the intersection with Fourmile Canyon Drive. 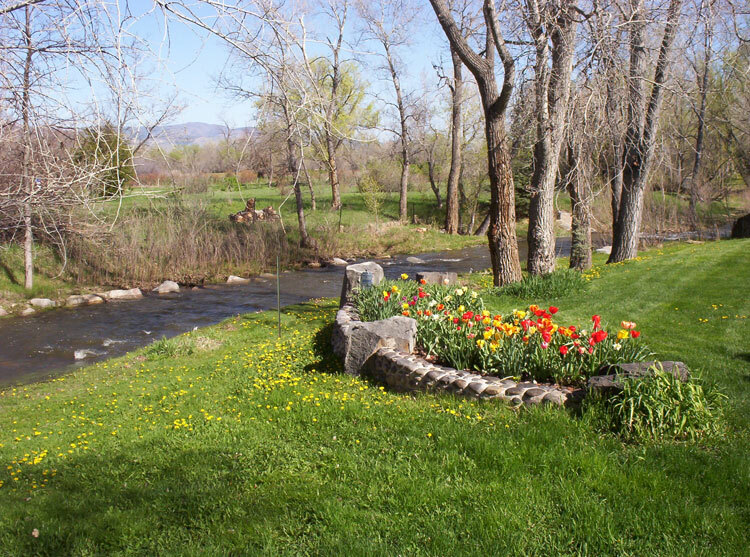 The slope is gentle, and the views of Boulder Creek and Boulder Canyon are rewarding. The Betasso Preserve (2.5 miles one-way, 500 foot gain and loss) trail is a fun singletrack above Boulder. The ride can be fast, though it's not particularly technical. Nice views and open meadows abound; this is a good introduction to mountain biking in the Boulder area. Note that the trail is shared with pedestrians, and is closed to bicycles on Wednesdays and Saturdays. The trailhead is at the Betasso Preserve, off Sugarloaf Road (map). Heil Valley Ranch trail (7 miles, 1000 foot gain and loss) is another nice ride through the foothills. Nestled within the folds of Lefthand Canyon north of Boulder, the Heil Valley trail is a bit rocky. However, it's a nice trip overall. Grasslands and forests lead to a nice overlook view. To find the trailhead, take Lefthand Canyon to Geer Canyon Drive (map). 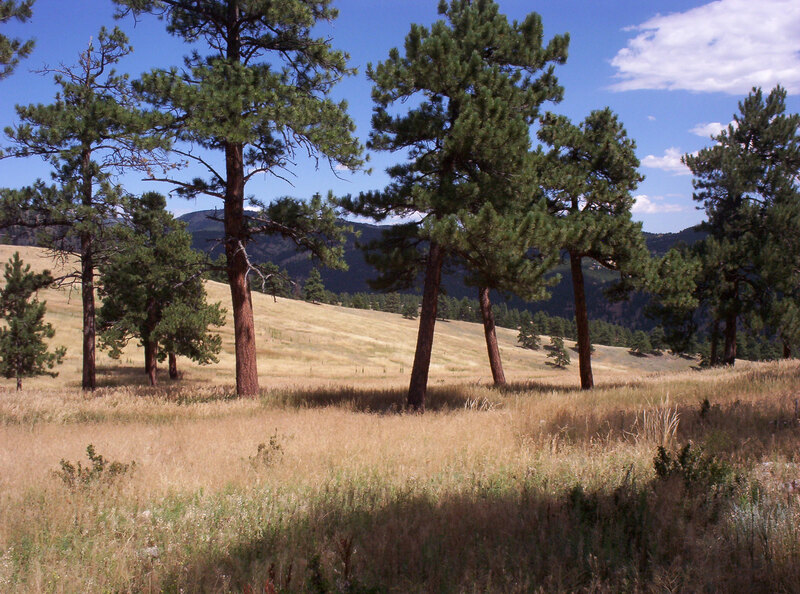 The similar-sounding Hall Ranch trail (9 miles, 1200 foot gain and loss) is located in nearby Lyons. The overwide singletrack is more technically challenging than Betasso or Heil Valley. Beginners might find it slightly overwhelming at times; others will find it pleasant fun. To get there, take route 36 from Boulder into downtown Lyons. At the Route 7 split, turn left and travel a little over a mile (map). 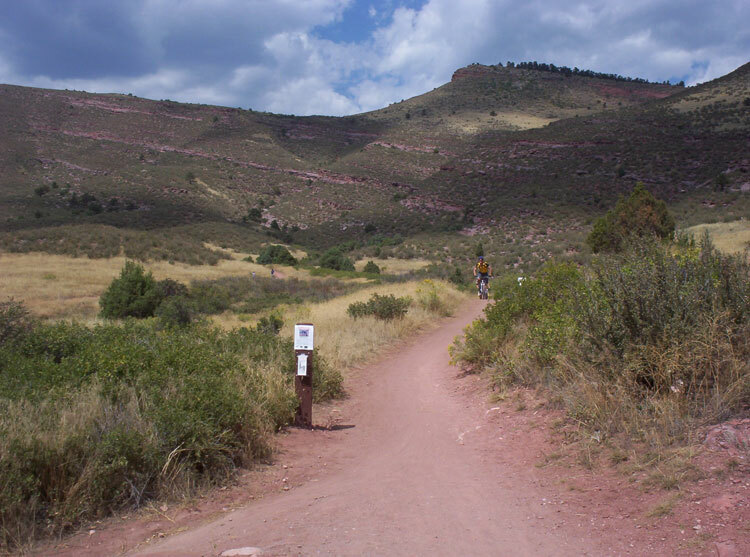 The Switzerland Trail (13 miles, 1000 foot gain and loss) is one of the highest-elevation trails in the greater Boulder area. Previously a gold mining railroad route, the Switzerland trail offers some excellent view of the neighboring Indian Peaks. Note that this doubletrack shares space with ATVs and other motorized vehicles, and climbs from 8500 foot elevation to near 10,000 feet. The trailhead is at the end of Sugarloaf Mountain road, in the town called Sunset (map). There are countless options for long road bike trips in the Boulder area. Note, however, that winding mountain roads often hide bikes from approaching cars. There have been several fatalities in recent years. Popular routes include the climb up Flagstaff Mountain, the trip from Boulder to Lyons via Foothills, and the climb from Boulder to Ward via Left Hand Canyon. You can also ride south to Golden, or — for a long day — ride north all the way to Fort Collins. Most visitors to Boulder don't bring their own bikes. However, bicycles can be rented for four-hour, full-day, or multi-day spans at University Bicycles on West Pearl. A Boulder institution for over twenty years, University Bicycles is a great place to rent (or buy) bicycles. Bike rental selections include townies, mountain bikes, and road bikes. Rentals include a helmet and bike lock. Call in advance to check availability.